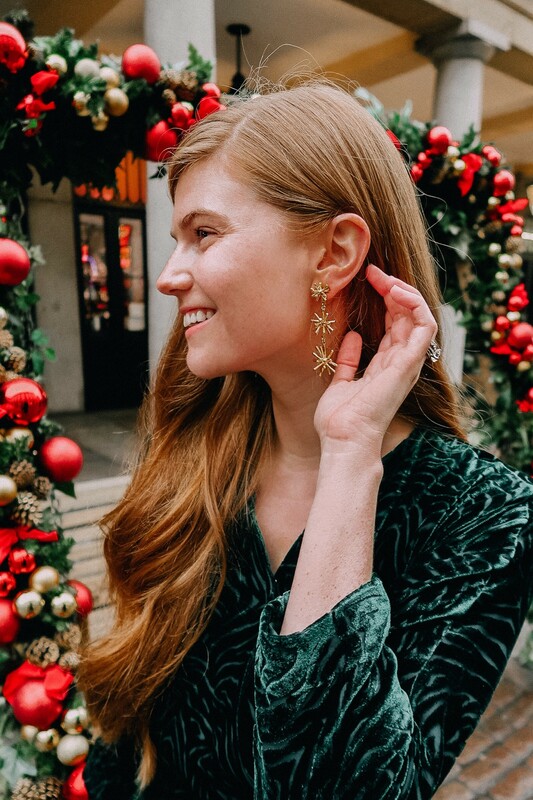 When it comes to holiday dressing, the more extra the better. Metallics, sequins, feathers – it’s all totally acceptable this time of year! As someone who tends to dress fairly casually 99% of the time, I really enjoy going all out for holiday parties. While I love a good sequin mini as much as the next girl, they can start to feel a little played out come NYE. The velvet trend has been on the rise the past few seasons, and I think it’s such a luxe alternative to that (potentially) overdone shimmering number. 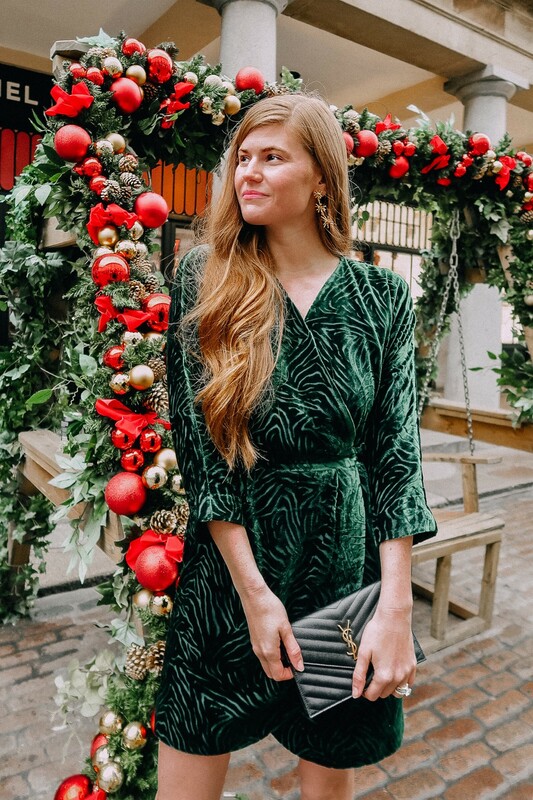 This emerald green velvet wrap dress I styled today has a cheeky zebra burnout print, which makes it feel even more special. I love it paired with burgundy booties to make a statement, but it would look just as chic worn with black booties or over the knee boots. 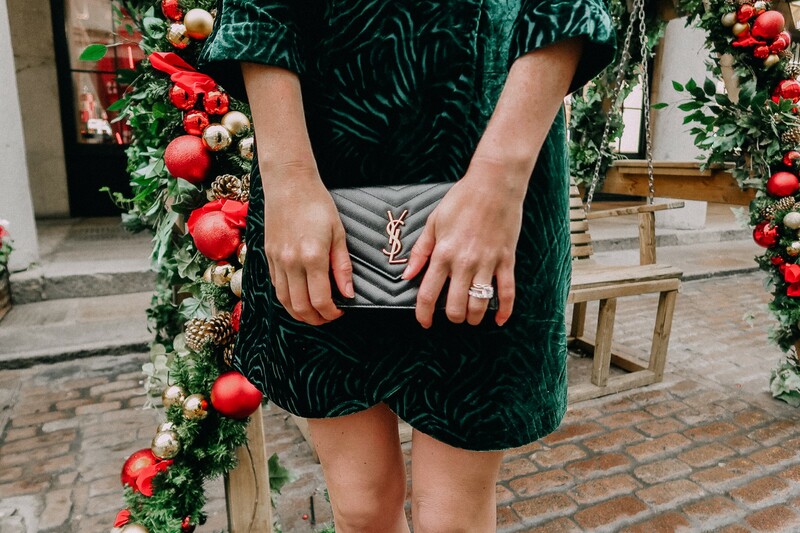 I’ve rounded a few of my favorite velvet pieces this holiday season below! What do you think of the velvet trend? Will you be giving it a try this holiday season? 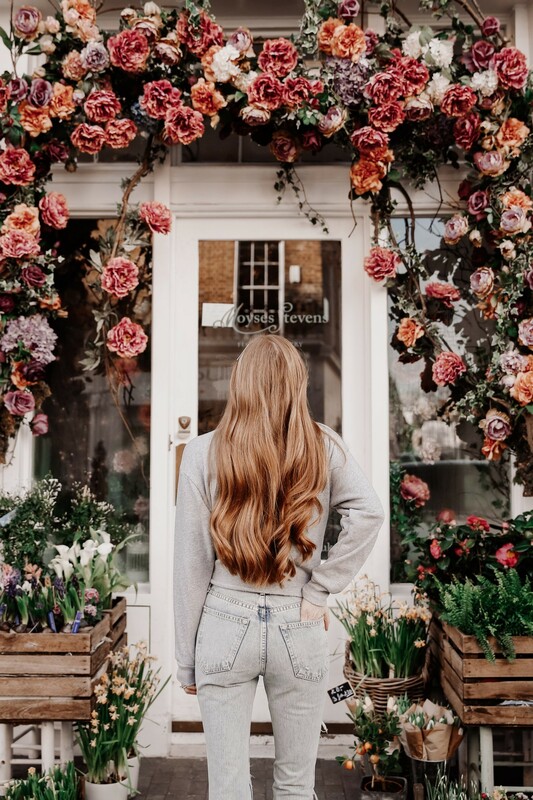 Loving this velvet trend feature? Take a look here for more of my holiday favorites! I’m currently obsessed with velvet this season! I seriously gravitate towards it more often than not. Velvet for the holidays is my absolute favorite! Love the green color of this dress on you! Omg how adorable is this post! This outfit scream holiday vibes and I’m loving that dress! I love this holiday look! That dress is so pretty and I love how you styled it! I love velvet during the holidays! It’s such a fun look and I love those booties. It’s a classic look! Yasss, velvet is my fav right now! Im actually styling a green velvet blazer on the blog today too! Green velvet for the win! This dress is amazing on you lady! Absolutely love the color and the velvet! Absolutely stunning!! I am ALL about velvet and suede this season!! Such a fun way to mix up a normally classic look! yes, yes, and yes!! I am allll about velvet for the holidays!! I love the excuse to dress up this time of year!! 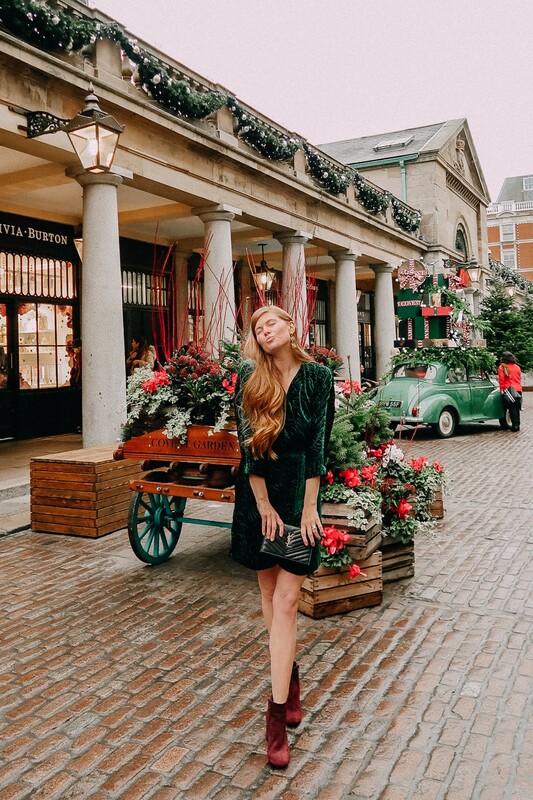 I love this velvet dress for the holidays! SO classy! 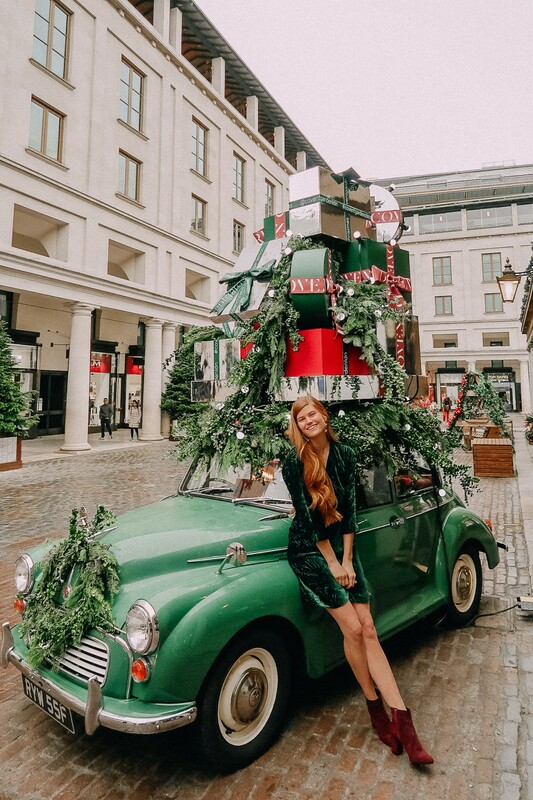 That dress and that festive car.. this post is perfection!! I’m with you because wearing velvet is so fun!